View detailed information of audio files. Is there a better alternative to Audio Spy? Is Audio Spy really the best app in Audio category? Will Audio Spy work good on macOS 10.13.4? 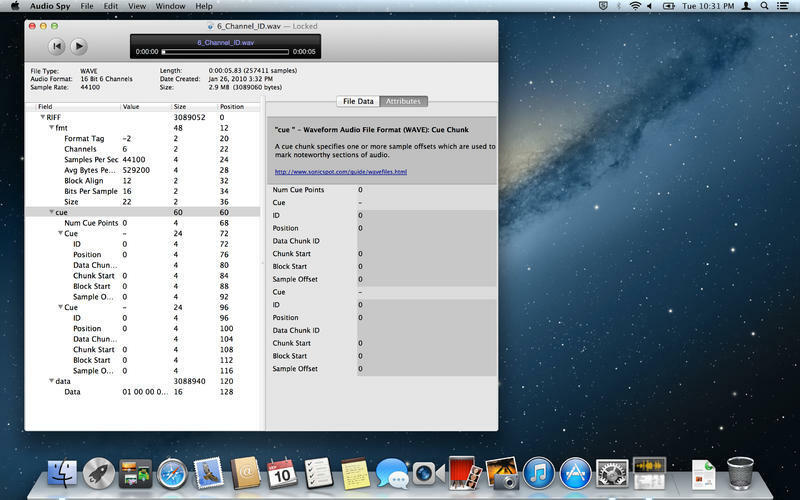 Audio Spy shows you everything you ever wanted to know about the inner workings of your audio files. Open WAVE, Broadcast WAVE, AIFF and AIF-C files. View all meta-data chunks in each file. View descriptions and data for over 75 meta-data types. 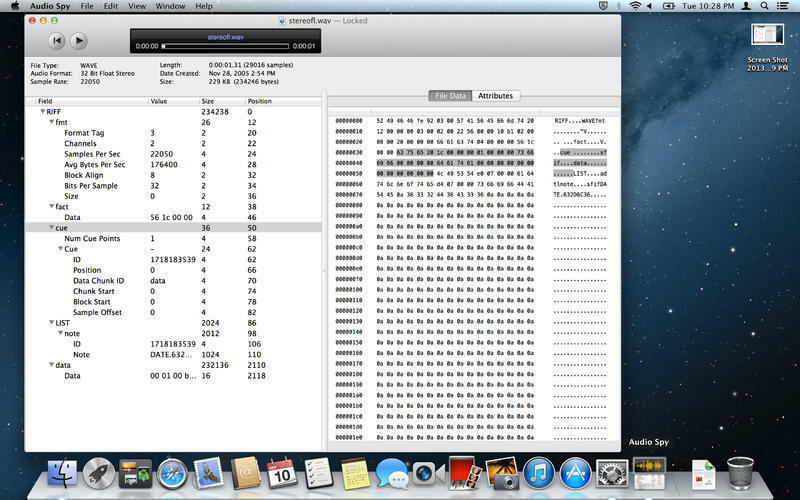 Browse file data byte by byte. Audio Spy needs a review. Be the first to review this app and get the discussion started! Audio Spy needs a rating. Be the first to rate this app and get the discussion started!